About two months ago I used the last of the stored apples and dried chillis to make another batch of Chilli and Apple jelly. I strain the juice and then freeze it so I can make the jelly later as and when it is needed. 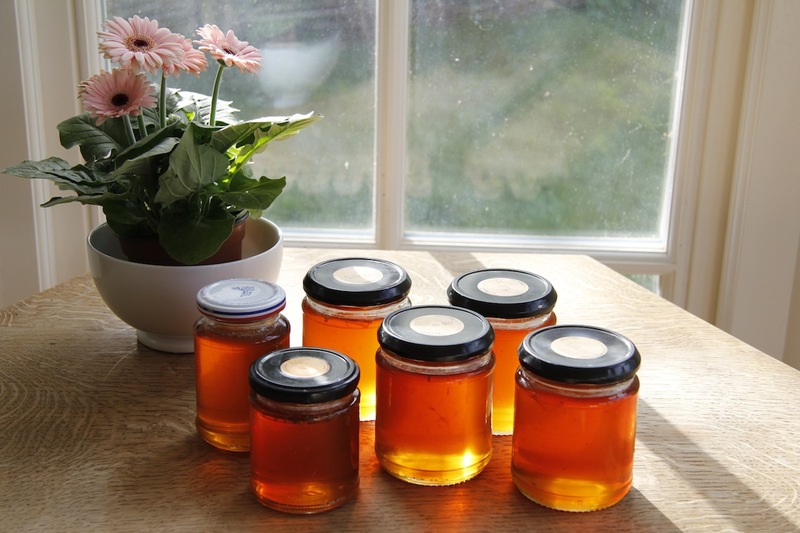 Last week I made up another batch of the jelly as we were getting low on jams to sell. The jelly comes in three levels of hotness – regular, hot and very hot – it is all quite random though. Regular jelly is lovely on toast and with peanut butter. The hot and very hot is good with cheese, terrine and sausages. 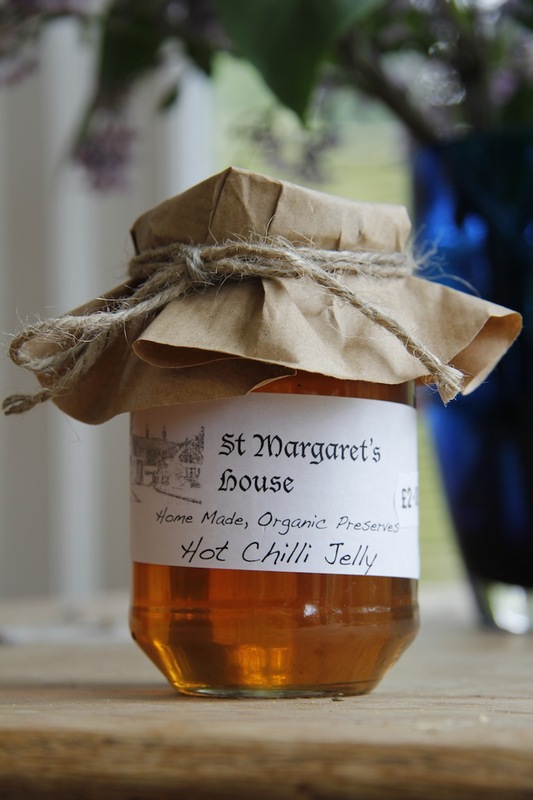 Chilli and Apple Jelly: cooking apples, chillis, sugar. 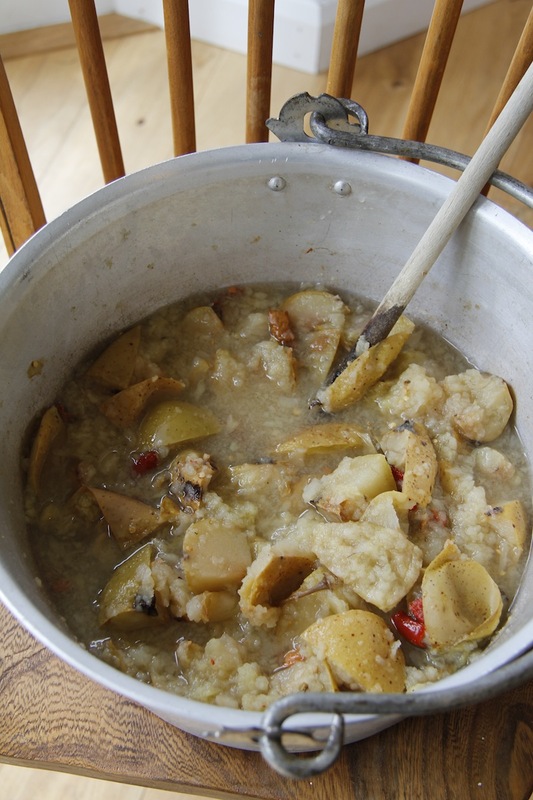 Wash apples and chop into 4 or 6 pieces depending on size. Put in a jam pan, add chillis ripped open so the seeds come out. Cover with water, bring to boil and simmer until mushy. 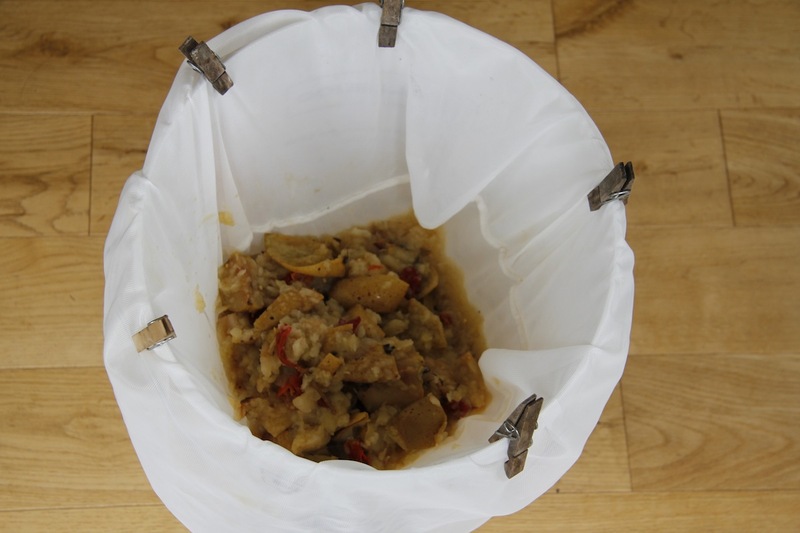 Strain the mush through a jelly bag or muslin cloth. Then for every litre of of liquid add 1kg of sugar and put in a jam pan. Bring to the boil and cook at a rigorous boil until the setting point is reached or the wrinkle test is successful. See here for wrinkle test and how to sterilise jam jars. Put jelly in jars, allow to cool and then label. Thank you – it is quite tasty! Actually quite beautiful, too. You are quite the artist. Thank you. The jelly looked lovely with the light behind it.